If you would like information about the Boy’s or Girl’s Brigades please use the “Contact the Church” page and we will respond to you. This extract is taken from an account written in 2002 by Mr Eddie Hughes on the occasion of the Brigade’s 70th Anniversary. On 20th February 1929 some fifty boys gathered in the school room of the High Street Methodist Church in Caergwrle. They had been invited by Mr. Cecil Jones, who with his wife Cissie, was keenly interested in the welfare of young people, to hear an address by Mr. Gerald Pugh describing his plan for the formation of a Company of the Boys’ Brigade. Hardly a world shaking occasion you might say, but that event was to change and mould the lives and futures of several generations of the young people of our village, and indeed of neighbouring communities. Within a few weeks the Company was in full operation, though with reduced numbers, as those boys whose interests were mainly in football and games drifted away. 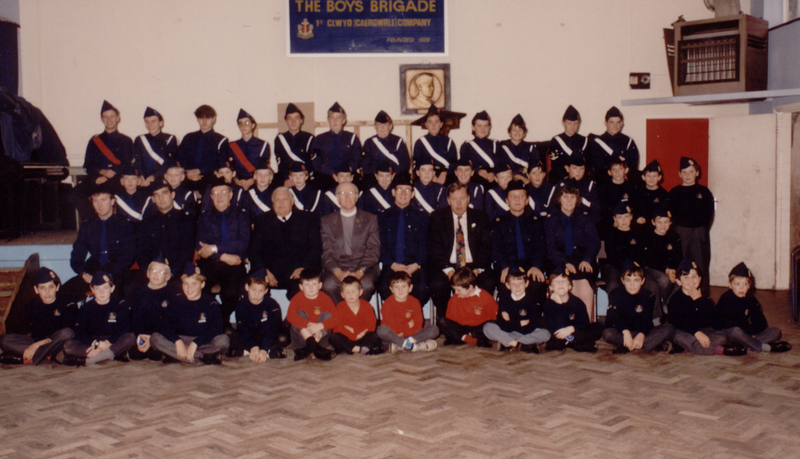 Those who remained were taught the object of the Boys’ Brigade and introduced to a programme of activities which would enable them to achieve its very fine and honourable aims. The format, though enlarged with the passage of the years, has been faithfully based and unchanged, Drill Parade, Bible Class, Team Games and the Annual Camp. 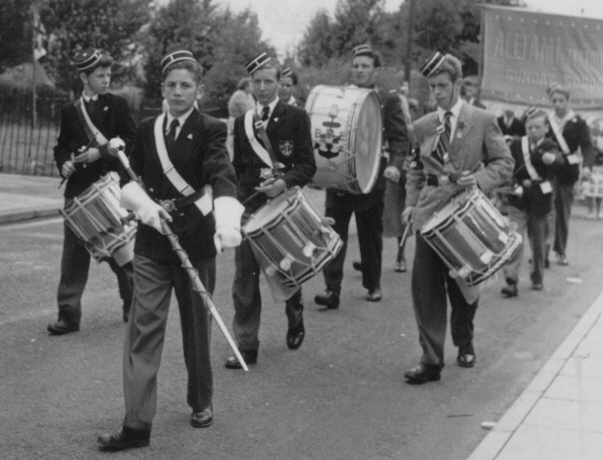 The Company’s first parade was to the enrolment service on April 7th 1929. The first name on the Company’s membership roll was that of Hywel Hughes, “Howie”, who was the close friend and colleague of our beloved “Capt.”. and whose record of service to the Movement deserves the everlasting praise and honour of our community. The record of work during that formative year produced amazing results. 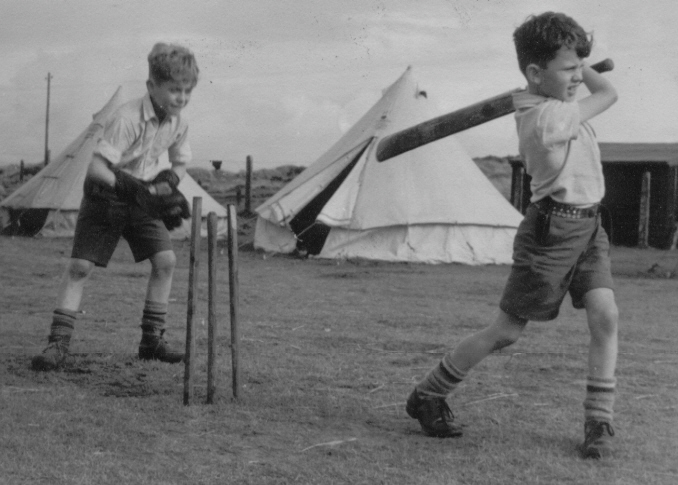 In its early years, the Company carried out its activities in the Queens Café beginning with prayers and a hymn, and practising our drills, games and classes, and band practise. The Company was divided into squads each led by an N.C.O. 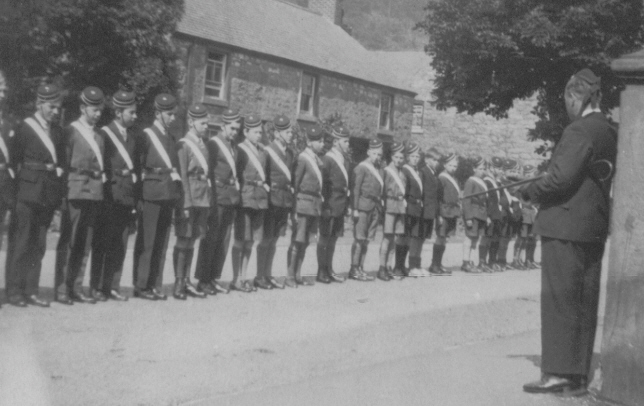 Each week they were inspected and given points for smart appearance and cleanliness of our uniform, which consisted of a pill box hat, a white haversack, and a leather belt with the anchor badge on the buckle. Every piece of leather and metal was meticulously examined and rewarded or penalised for traces of metal polish, and any other blemishes. At the annual inspection, to which parents and local dignitaries were invited, a shield, with a small metal badge with the number of the squad scoring the highest number of points was presented by the inspecting officer. The competition for marks was keen, and ensured the interest of parents in the general tidiness of their offspring. The uniform was simple, smart, and inexpensive. The belts were supplied out of Company funds. Mrs. May Morris, a pillar of the Castle Street Methodist Church unobtrusively and faithfully trained and accompanied the Company band members in all their musical efforts. After reaching 80 years, we are proud that the Company carries on many of the old traditions, but inevitably changes must take place. Much of the militarianism of the Brigade is being phased out, but Caergwrle keeps its old traditions. We have moved from Snowdon to the Alps, from canoes to hovercrafts, from cycles to advanced driving and skid pans, and who knows where in the next millennium. The pillars of discipline, self-respect, and Christian manliness will always be preserved.